- This car is based on "Jeep Cherokee XJ - Majorette". 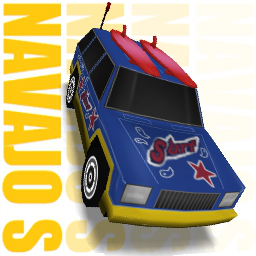 - This car's name is the name of a tribe, because it is based on a Cherokee which is also the name of a tribe. - The S at the end of the name is because i could not choose between Surf, Suv or Summer xD.